I don't know which I love more - a wet, naked and horny Ellery or a nervous, blushing and horny Mr. Coyote! I'll take them both. LOL! Can't argue with that. Terrific dialogue, as always, Louise, and having Colson in California is inspired! I hope that you all like it... I had to get away from all of those murders and court procedures and such and get back to what really counts... the actual drama of the Wrangler and the Lawman. Yeah, I love it! Although when I first read the title, I thought they were heading out east. LOL. I didn't know about 'the land of the lotus eaters'. 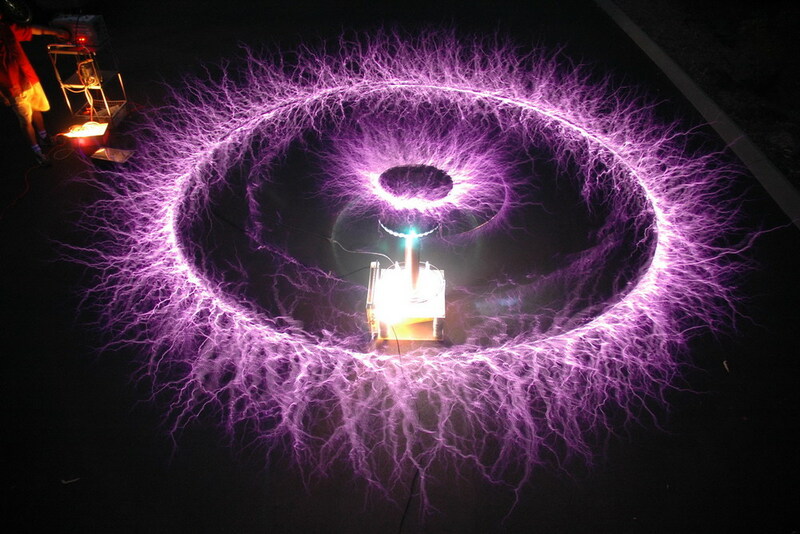 And what's a Tesla coil? I love Ellery giving Wes a call before they take off. I remember Ellery being shocked when Colson told him about Wes and Edna regarding him a their son, but he enjoys a bit of daddying now and again, even though he'll probably never admit it. It's nice to see Ellery seeking a bit of reassurance from Wes. And Wes, well, what can I say? I love Wes!! How wonderful that Wes and Edna have invited Nick and Jeremy to do the sunday roast. I'm already looking forward to both of them riding with the Grey girls. hmmm, I hear you Marie. It's an impossible choice. What a great start Louise! More please. It generates static electricity. LOTS of static electricity. and here is chapter 4! Aw, poor Colson .... but I love the hair combing idea, of course . And Ellery does know how to handle his man. Looks like Colson can't lose! OMG, that's one for the books Louise! Fantastic dialogue, as always. I'm loving this, thanks Louise! Oh, it sure does .... last time they were searching for a wedding ring. This time they're wearing wedding rings! But that spark of electricity is still there, stronger than ever! heheheheh yes searching a hotel room... what memories! I am going out tonight to a presidential debate party, but I will be back tomorrow in full 'search' mode! and here is chapter 5!